Bank stocks were in demand on Tuesday after the government infused Rs 10,882 crore in four public sector lenders, with UCO Bank surging over 12 per cent. Shares of UCO Bank soared 12.10 per cent to close at Rs 22.70 apiece on the BSE. Bank of Maharashtra gained 3.83 per cent, Central Bank of India went up by 1.36 per cent and Syndicate Bank rose by 1.27 per cent. The government on Monday infused Rs 10,882 crore in four public sector banks, including UCO Bank and Syndicate Bank, as part of the Rs 28,615-crore capital infusion to be done in about half a dozen public sector lenders. 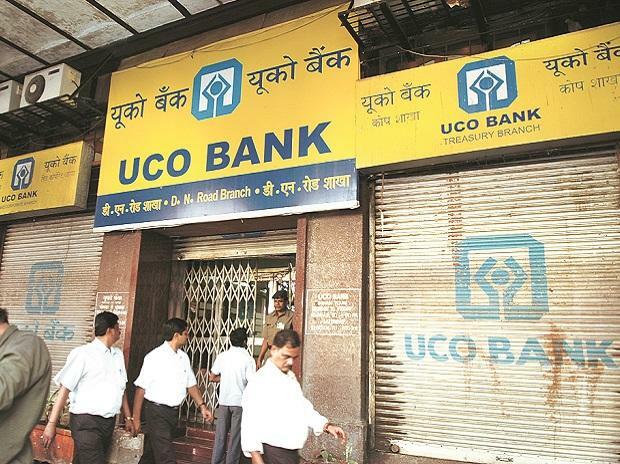 UCO Bank received Rs 3,074 crore in the equity by way of preferential allotment on Monday, the bank said in a regulatory filing. Besides, Bank of Maharashtra got Rs 4,498 crore, Syndicate Bank Rs 1,632 crore and Central Bank of India Rs 1,678 crore. Buying was also seen in other bank stocks, with Bank of Baroda surging 3.74 per cent, United Bank of India gaining 3.61 per cent, Bank Of India rising 2.21 per cent, Punjab National Bank 2.11 per cent and State Bank of India 1.25 per cent. Analysts also attributed the rise in banking stocks to Reserve Bank of India Governor Shaktikanta Das' statement that the banking sector is on "course to recovery" as the afflicting non-performing assets recede. The asset quality of banks showed improvement with gross non-performing assets' (GNPAs) ratio declining to 10.8 per cent in September 2018 from 11.5 per cent in March 2018, the Reserve Bank of India (RBI) said in Financial Stability Report Monday.